Comment: ex library copy, **SHIPPED FROM UK** We believe you will be completely satisfied with our quick and reliable service. All orders are dispatched as swiftly as possible! Buy with confidence! John Edwardshas published extensively on the political, economic, social and religious history of Spain in the 15th and 16th centuries." This is a good general introduction to the "modern" Spanish inquisition. However, it is only an introduction, and those already familiar with the subject may learn little from this text that they do not already know. Having said this it is an easy-to-read narrative for those who are curious to learn about this intriguing period and who do not already have an indepth knowledge of Spanish history. It helpfully puts the Spanish inquisition into its historical context. An outline is given of its precursor, the medieval inquisition. The book also explores the political climate in Castile and Aragon in the second half of the fifteenth century, which was especially conducive to the introduction of the inquisition. Initially it was used as a means to persecute the Jewish conversos once Spanish Jewry had become politically expendable after the reconquest of Granada from the Moors. From a royal perspective, their persecution served the useful purpose of undermining the potentially troublesome power base of the Aragonese nobles, many of whom had intermarried with the local Jewish population. Intermarriages such as these were largely restricted to the upper echelons of Aragonese society, thus providing Ferdinand of Aragon with a pretext upon which he could attack the nobles without alienating the merchant class. The book considers how the inquisition was exported to the Spanish colonies, and, perhaps of particular interest to English readers, how Philip II may have influenced the persecution of Protestants in England during his ill-fated union with Mary Tudor. Although, as the book points out, the English Protestants were pursued under Parliamentary statute and not through the introduction of Philip's Spanish inquisition to England. Moving through the turbulent years of the reformation and the Catholic counter-reformation the book explains how the focus of the inquistion came to dwell on Lutherans, Calvinists and any other variety of Protestants who came to Spain. 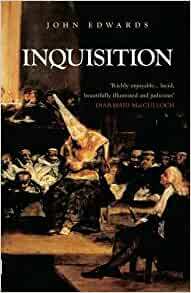 An interesting chapter explores the demise of the inquisition under the Bourbon kings. We are told how the young Philip V, on coming to the throne in Madrid on a "wet day in February 1701" declined to attend the auto de fe (festival at which heretics were burnt) held in his honour, presaging the down-turn in the fortunes of the inquisitors. Bourbon absolutism brought the inquisition to the royal heel, and, after war broke out between Spain and the revolutionary regime of France's first Republic, financial resources were diverted away from the inquisition to subsidise the Spanish war-effort. The final chapter, entitled "The Inquisition Today in Reality and Myth", deals principally with the position taken by the Catholic church since the abolition of the inquisition in 1834. The focus of this chapter is on reality to the virtual exclusion of myth. Nothing is said, for example, about the various references to the inquisition in literature. 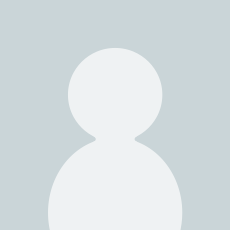 It would, in my view, have been appropriate for this chapter to have dealt with how the inquisition has been painted by writers as diverse as Lope de Vega, Cervantes, Umberto Eco and Dostoyevsky. This body of work has shaped the common perception of the "Black Legend", and any attempt to deal with its mythology is inadequate unless it addresses this material.